Although, it might not be as glorious as you would think. If you imagined being saddled up on some bucking bronco, you would be giving my comedy career too much credit. 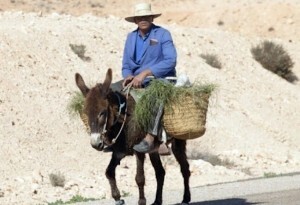 Instead I’m just maintaining my life atop this donkey. Top speed 2.8 mph. Monday: Hosted the Sally O’briens reunion comedy show. Finally we got back to doing comedy at Sally’s on Monday. Fun show, lots of good friends, I’m looking forward to doing it all over again, week after week. 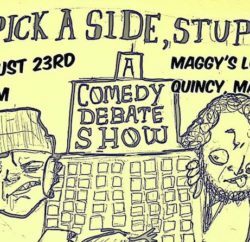 Tuesday: I hosted the comedy show and debate at Stadium in Quincy. The open mic was fun but the debate was my favorite part as it seems to be each week. I ran into a friend of mine’s sister and she actually joined us in the debate. And her friend ended up winning the debate. Oh what a crazy world. You never know what’s gonna happen. Anyway the good news is that we have prizes for this next week’s debate winner. So come to Stadium Tuesday at 8 for the comedy show or 10pm for the comedy debate. Wednesday: Just did a set at Tavern at the End of the World because I love getting on stage on my off nights. Thursday: I took the night off and just went out for some chicken wings and beer with my friends Jim and Joe. 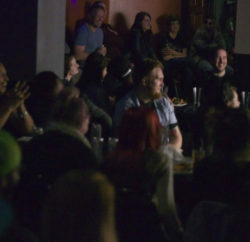 Friday: I hosted the show at Nick’s Comedy Stop. It’s pretty cool to get on stage at a club that I remember going to as a 19 year old before I even had the notion that I could be a comedian. I was afraid parking would be a problem so I got there 2 hours early and I found a spot immediately, right across the street from the club. Saturday: Read above… The only real difference is that Saturday had a bigger audience. The room must have been close to sold out and I get to be part of the show at this legendary club. Pretty sweet. Anyway… I hope to see y’alllllll at a show soon. Thanks for reading. 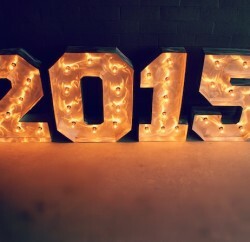 You can follow me on twitter @ShawnCarters. Previous PostTDGAF Next PostSAD. Snowpocalypse Affective Disorder. -by Phoebe Angle, Mariel Cabral, and Kristin Seltman, with commentary by R.A Bartlett. 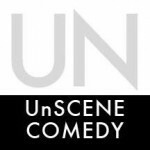 UnScene Comedy is the best place to find essays, articles, and media from some of the top Boston comedians.